PROS Solid keyboard. Speed Key lets you quickly access apps and features. Excellent productivity and privacy software. CONS Keyboard lacks capacitive touch. Mediocre cameras. We like the BlackBerry Key2, but $650 is a lot to ask for what’s essentially a midrange Android phone with a keyboard and some extra security features. 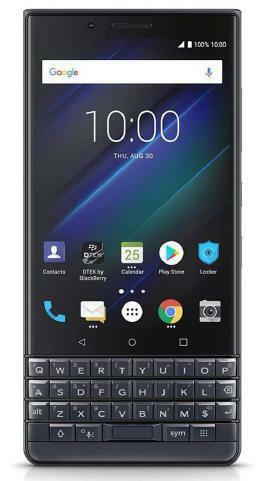 The BlackBerry Key2 LE, on the other hand, is a lot more appealing at $449.99. Like the regular Key2, it offers a physical keyboard and a thoughtful suite of apps focused on productivity and security. It has a slightly less powerful processor and a plastic frame instead of aluminum, and its keyboard lacks capacitive touch. We think these trade-offs are worthwhile for the money you save, so we’re awarding the Key2 LE a higher score than we gave the original model. That said, if you don’t need or want the physical keyboard, you’ll get the most bang for your buck with the OnePlus 6T, our Editors’ Choice. Hide Your Phone When You're Trying to Work. Seriously. The biggest roadblock to your productivity is the smartphone on your desk. A PCMag survey found that most Americans believe Apple is the leading phone vendor when it comes to 5G.